North America Forum»Forum ›League of Angels ›General Discussion › Challenge Mode Question. 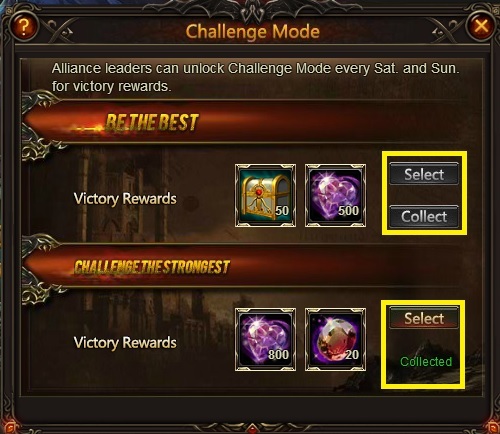 Hmm There are 2 option in Challenge Mode in Alliance Expedition. So the thing i want to know thats, we can only do one of those? Either Best Of The Best or Challenge The Strongest ? Or we can do Both? Then i though i will check the ? icon to get some help, but its showing error. Well learned a new thing. yes, only one apparantley, would have been nice to have some friggin clarity in this event, lol GT loves to keep us guessing, found out hard way too. trial and error is key to game. 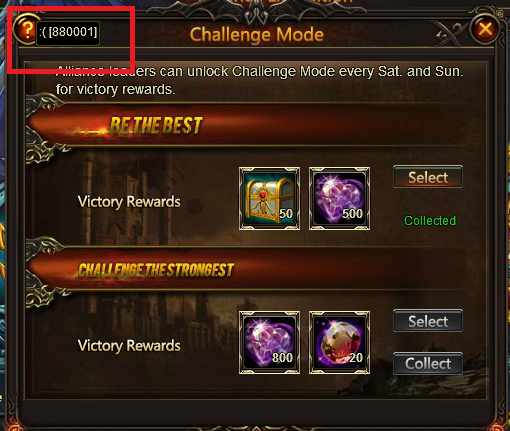 The final stage is;rewards stage including two parts, namely Inner Alliance reward rank and Alliance Rank. The better you and your alliance perform the better rewards you will get. And in the final stage you will still get chance to challenge the strongest alliance or challenge your own alliance. More rewards will be;gained. what stinks is my cat jumped on my hand and I clicked strongest one in which my alliance isn\'t quite up to it. we get a lot of them but to many strong ones. point making is, you shouldn\'t have to dig around multiple area and such to fiqure out how things work and even then terms can be misleading or open to interpretation. And cant trust the announcements as many have learned the hard way. You know the disclaimer. 2019-4-21 18:45 GMT+8 , Processed in 0.055830 second(s), 50 queries .